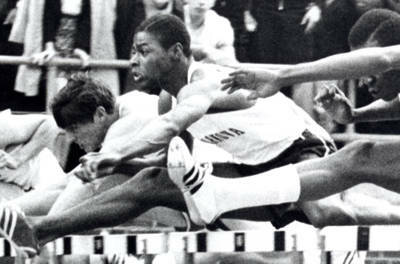 Erv Hall matured into a world-class high hurdler in the late 1960s at a time when the USA totally dominated the event. The USA national championships and Olympic Trials both produced higher quality fields than an Olympic final. 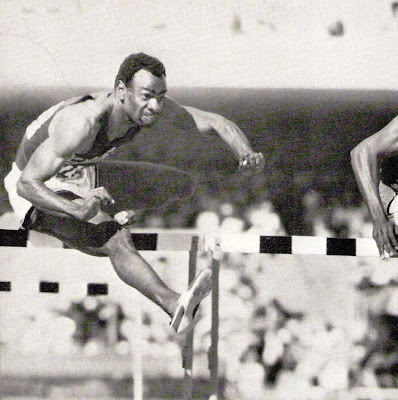 The top three hurdlers in the world during 1967 and the early part of 1968 were Willie Davenport, Earl McCulloch, and Richmond Flowers, all from the USA. However, a mid-season injury sustained by Flowers and a decision by McCollouch to play professional football significantly promoted Villanova junior Erv Hall's chances to make that year's Olympic team to the Mexico City games. 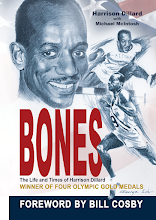 Hall, who ran locally at Overbrook high school before competing for Villanova, seized this opportunity at the USA final Olympic Trials at South Lake Tahoe on September 13, 1968, when he finished third behind Davenport and Leon Coleman to make the Olympic team. At Mexico City, on October 17th, Hall further showed that he was a force to be reckoned with when he set a new Olympic Record of 13.3 seconds to win the first Olympic semi-final of the 110 meter hurdles. This performance was also timed electronically as 13.38 seconds, the fastest time ever recorded up to that date, but at a stage when World Records were not recognized for electronic times. 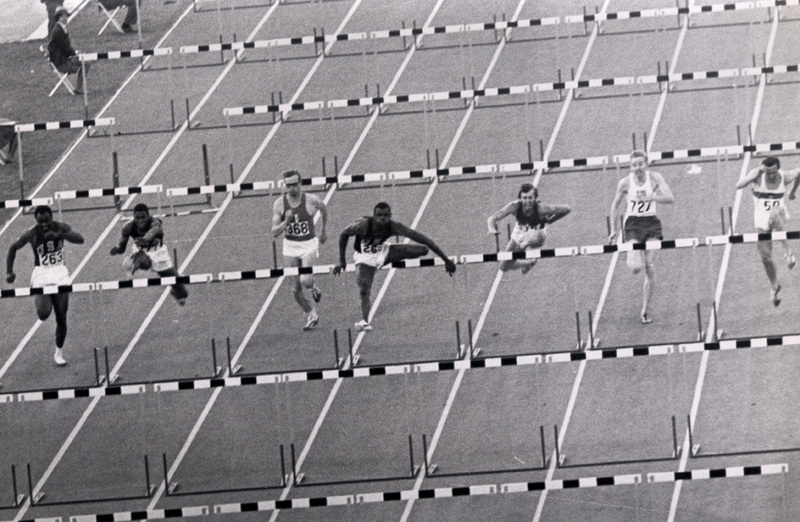 In the Olympic final held only two hours later, Willie Davenport led the race from the gun to win easily, while Hall claimed the silver medal. Hall, representing Villanova, continued this form into the following year when he won the NCAA indoor title over 60 yards in a time of 7.0 seconds. He outdid his performance at the NCAA indoor championships when he set a new World and American Record at the NCAA Outdoor Championships in Knoxville, TN. There, he ran 13.2 to win the 120 yard hurdle title. 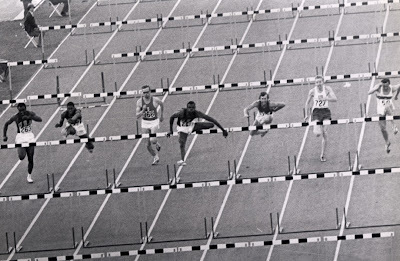 Hall retired from competition at the end of the outdoor season in 1969.